Today is the birthday (1332) of Abū Zayd ‘Abd ar-Raḥmān ibn Muḥammad ibn Khaldūn al-Ḥaḍramī (بو زيد عبد الرحمن بن محمد بن خلدون الحضرمي) commonly known as Ibn Khaldoun, one of the greatest thinkers in the fields of history, economics, sociology, and anthropology of all times, and is now rightly considered by many experts in those fields to be their great-great grandfather. Yet most of his work remained unknown in the West for centuries until it was rediscovered in the nineteenth century when many of his fundamental ideas were reinvented by scholars. Even now in the social sciences his name is hardly a byword. I first learned about him in graduate school when I took a class on the pre-modern history of anthropology. Many of his ground breaking theories are current to this day. Ibn Khaldoun (or Ibn Khaldūn) was an Arab Muslim born in Tunis into an upper-class Andalusian family of Arab descent, the Banu Khaldūn. His family, which held many high offices in Andalusia, had emigrated to Tunisia after the fall of Seville to Reconquista forces around the middle of the 13th century. After the fall of Tunis to the sultan of Constantinople in 1352, he relocated to Fez (Morocco) where he took up the position of writer of royal proclamations for the sultan, Abu Inan Fares I. However, he got himself in hot water fairly soon for scheming against the sultan and landed in prison for 22 months. He was released on the sultan’s death but had mixed fortunes subsequently. He decided to move to Granada, capital of the province of Granada in Andalusia, where he expected to be well received because in his time at Fez he had assisted the sultan of Granada, Muhammad V, regain power following his exile. There he came into conflict with the sultan’s vizier and so relocated to North Africa once again where he bounced around, because of his seemingly insatiable desire to cause trouble, finally ending up in Egypt, where he died in 1406. 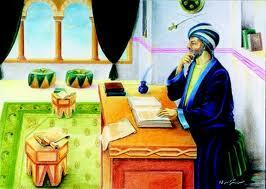 During his time in North Africa and Egypt he mostly devoted himself to writing and some teaching. These were the years that produced his greatest works. His best known book is the Muqaddimah, commonly called the Prolegomena in English because it is the introductory volume in his proposed grand history of the world. In it he lays out his basic methods and theories to be applied in the body of the work. He starts out with a critique of previous methods in history pointing out that they are often unreliable because of 7 critical errors in method, such as writing with the purpose of currying favor with a ruler, failure to examine the reliability of sources, and bias towards a particular creed or cultural norm (what we now call ethnocentrism). My favorite of them all, the cornerstone of all cultural anthropology, is the error of failing to place events in their proper historical and cultural contexts and, hence, failing to interpret their true meaning — a principle I live by in my own writing. You would be amazed at the breadth of his theorizing in diverse fields, and at how well his work continues to accord with contemporary theory. In economics he expounded on markets, laws of supply and demand, labor and human capital, exchange, and the effects of taxation on productivity. In sociology and anthropology he theorized on the nature of social cohesion, the effects of nomadic versus city life on culture, and the ways in which social bonds weaken as cultures move from a subsistence base to one of surpluses, and, eventually, luxury. He proposed that this progression was the ultimate cause of the cyclic downfall of empires. His political theory might best be summarized by his definition of government: “an institution which prevents injustice other than such as it commits itself” which we must all ruefully admit is the case. He made major contributions to the philosophy and method of history which includes such sentiments as, “History is a science,” “Myths have nothing to do with history and should be refuted,” and “To build strong historical records, the historian should rely on necessary rules for the evaluation of truth.” Those in the know believe that Ibn Khaldoun was one of the greatest thinkers of all time. Few people nowadays realize that what is often referred to as the “Mediterranean Diet” has strong Arab influences dating back to the Middle Ages. Nowhere is this better illustrated than in Ibn Khaldoun’s ancestral, and actual, home of Andalusia in southern Spain. This recipe is my modern adaptation from the 13th century anonymous cookbook, Kitab al-tabikh fi al-Maghrib wal-Andalus (Book of Dishes from Morocco and Andalusia). It is for a raised dough (rather like egg bread) that is shaped into braids, shallow fried, and drizzled with scented honey then dusted with sugar. The original medieval recipe (which is typically vague about quantities and methods) calls for durum flour in preference OR plain wheat flour otherwise. You can choose your own proportions based on preference, experience with durum flour, and availability. I prefer a 50-50 split because in bread making this makes a lighter product. The original recipe calls for both cinnamon and Chinese cinnamon. What you buy in the stores today is Chinese cinnamon, also known as cassia. Cinnamon here means “true cinnamon” which is a different species and much more aromatic than cassia. However, you can use one or the other, or mix the two. Put the yeast into a cup with 2 tablespoons of lukewarm water. Stir and let it sit for 5 minutes. Put the flour and salt in a bowl and incorporate the water little by little. Then add the yeast. Knead until the dough is elastic. Pour the saffron into a bowl with the two eggs and beat the mixture thoroughly. Then pour it over the dough, add the almonds and mix them well together. Knead the dough again for a few minutes to be sure all the ingredients are evenly distributed. Oil the surface of the dough and place it in a clean bowl. Cover with a moist towel and leave it to rise in a warm place. It should take about an hour for the dough to double in size but you should check it periodically starting after 45 minutes. If a finger pressed into the dough springs back immediately it has not proofed enough. If a finger causes an indentation that remains it has proofed too long. You ought to be able to press in and have the dough spring back after about 5 seconds. Then it is ready. While the dough is rising, gently heat the honey so that it is slightly more runny than when cold. Add the cinnamon, as much ground black pepper as suits your tastes, and the lavender. If you are using lavender oil, add one drop and check for flavor. Add one drop more if the flavor is too light. Keep warm. Divide the dough into six portions. Sprinkle the worktop and your hands with flour. Take one portion of the dough and keep the rest covered with a towel. Roll and manipulate the dough until you have a thin sausage about 15 inches long. Cut this in three equal lengths and braid them together, pinching both ends when you are done. Repeat for the other five portions. Let the braids rest for 15 minutes. While the braids are resting, pour vegetable oil into a heavy skillet to a depth of about ½ inch and heat until it reaches 340 F (170 C). Place the braids gently into the skillet without overcrowding. You may need to do this in batches. Fry them to a golden brown on the bottom , then flip them and cook the other side in the same way. Place the cooked braids on racks over trays to drain. Don’t use paper towels because then they just continue to sit in the oil. You may pat them with paper towels though. When the braids have drained, drizzle with the spiced honey, and sprinkle lightly with caster sugar.